This event is dedicated to the remarkable story of the oldest living things in Europe and their endangered future. The yew is one of the most versatile life forms on earth - botanically rich and intriguing. 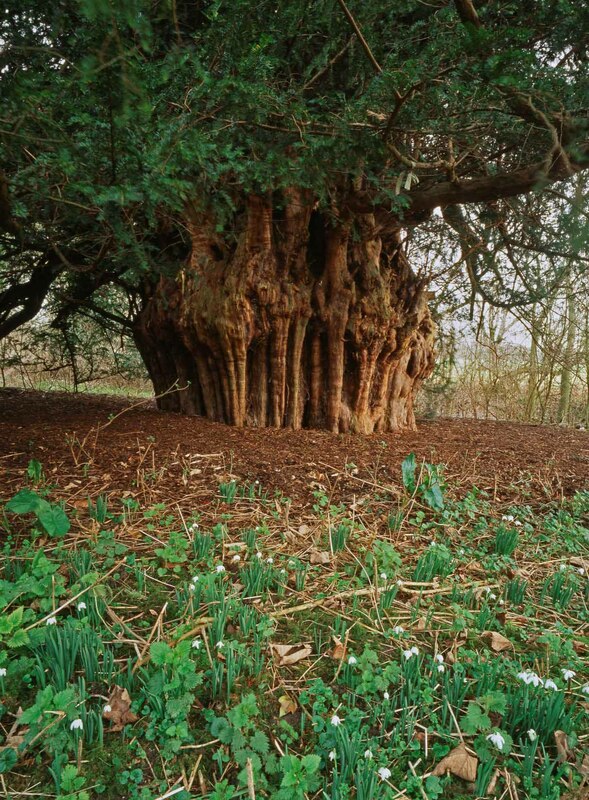 The yew has a rich cultural and historical background - it was the tree of life, the tree in the Garden of Eden and the original Christmas tree. The British obsession with using yew for the longbow led to the destruction of yew forests across continental Europe because the wood was superior. This means that the UK is a Noah's Ark for the conservation of ancient yews worldwide. Eighty to eighty five per cent of these grow in British churchyards where the Church is the guardian and custodian of this ancient heritage. In Dorset we have a number of ancient yews including the magnificent churchyard trees at Woolland and Tisbury which may be over 2000 years old. The talk will be a fascinating summary of the importance of the yew tree to people both historically and today – from sacred trees in pre-roman times to the use of extracts in the treatment cancer. Fred Hageneder is an author, musician, artist and acknowledged authority on the cultural history of the yew tree. He has written a number of books on trees including Yew-A History in which he wrote that ‘the yew is one of the most fascinating and versatile life forms on Earth, botanically rich and intriguing, and culturally almost without comparison. In history, mythology, religion, folklore, medicine and warfare, this tree bears timeless witness to a deep relationship with mankind’. He is also one of the founder members of the Ancient Yew Group which aims to document and protect the ancient yew trees of Britain.